As a Netflix Ambassador, it is really fun to be able to share the exciting things that Netflix is doing each month. This month is all about bringing books to life on the big screen, and our family had a blast reading and watching together. Here's what we did. Each of our kids looked at the Netflix list of movies based on books. 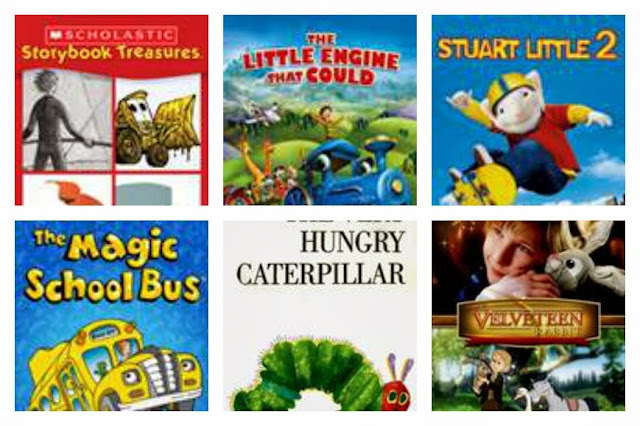 "13 Great Titles Based on Children's Books on Netflix"
Our eleven and a half year old son choose to read "Hugo." Our 8 year old daughter choose "Charlotte's Web." She even read my original copy that I read when I was a young girl. Our 5 year old daughter choose "The Little Engine that Could", and our 2 year old wanted in on the action and choose "The Very Hungry Caterpillar." The plan was that when they were done reading their book, we would sit down as a family and watch the movie version of the book together. Family movie watching complete with popcorn and treats. 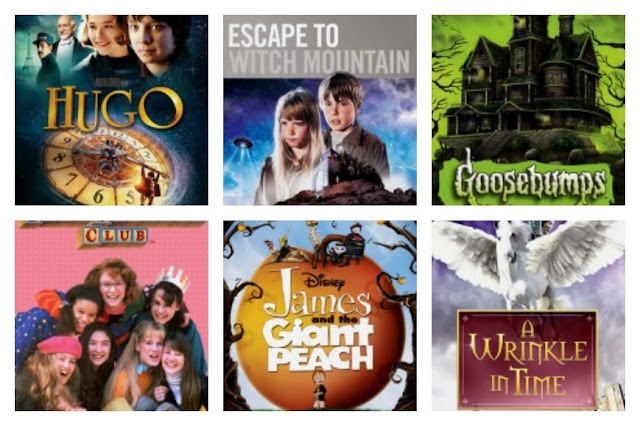 We had so much fun talking about how the movies where similar and different from the books. These are books that many of us grew up reading ourselves. This time of year, when our families are working to spend more time together, these Netflix movies are a great resource. Regardless of if you watch TV a lot, or a little. There are so many ways to use Netflix at your house. p.s Next on the "to watch list" is Babysitter's Club. Did any of you grow up reading that series of books? They were my favorite! Especially the "Summer Specials" because the books were always longer. I still have all of my old books. Just waiting for our daughter to get a little bit older so she can start reading. 2.Escape to Witch Mountain NEW! Netflix is so wonderful for kids' programming. We've just begun read-aloud books with our 4 year old, and when we finish one that has a movie, we plan a family movie night for it. It's lots of fun and she really enjoys it! House of Cards if you haven't seen it is amazing Kevin Spacey is a character you love to hate, but that's another story altogether... Point is the content is great.